Bad Wolf Technologies HD-SDI, 3G-SDI, and CVBS PAL / NTSC cameras are specifically matched with the AirKnight HD series of airborne rugged video recorders for the optimal performance or can be used for direct viewing on a monitor. They are specifically engineered for high performance, durability in harsh environments, compact size and ease of use. Bad Wolf Technologies also offer a line of high resolution standard definition 600TVL (600 television lines of resolution) cameras which withstand the rigors of the harsh environments our systems operate in. These cameras are best used with legacy standard definition products or for downlink solutions to save on bandwidth. 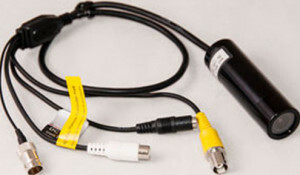 They may also be used with the Bad Wolf Technologies AirKnight HD line of recorders through CVBS NTSC or PAL video in. If you are still using standard definition and may not upgrade to high definition for whatever reasons, this camera is for you. No matter what or how good your existing SD camera is, this one will “blow” it away. Bad Wolf Technologies HD Nano 19mm Bullet Camera is the smallest bullet style camera available on the market and features full high definition 1080p resolution while being compact and durable. The HD Mini Cube Camera features full high definition 1080p60/30 resolution at true 3G SDI quality. Datatoys 23mm HD Mini Bullet Camera features full high definition 1080p resolution while being compact and durable. This is the most popular cameras choice for the Aviation Market. Exclusive to Bad Wolf Technologies, this HD-SDI Mini Bullet Camera has a single Hirose connector plug built into the rear of camera chassis and is designed to run both HD-SDI signal and Power through the same harness. No more running multiple cables. Full HD high definition 1080p30 HD-SDI bullet camera. Single Quick Connect / Quick Disconnect on Camera for Ease of Install and Removal. Proprietary MCR5 aircraft grade Tefzel shielded wiring harness. 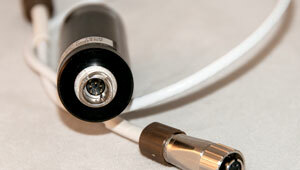 Multi-Core Shielded Video Cable runs both HD-SDI high speed video signal, OSD communication & power at the same time. Burn-proof harness option with certs available. Save Weight – a must for UAV and light aircraft. 6 Lens Options (20 to 115 degrees FOV). 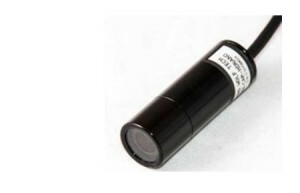 The E600/WDR 600 Bullet Camera is one of the most popular aviation cameras. Small, compact and light, the E600 is perfect for aviation and rugged environments. Marshall Electronics’ Optical Systems Division supplies lens and camera products to end-user and OEM customers worldwide. They are a global OEM optical products supplier to Tier-1 automotive, leading IP camera, industrial, security, machine vision, military and police equipment Original Equipment Manufacturers.